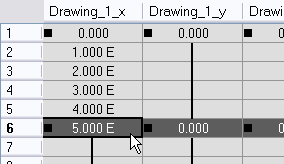 If you are used to working with the Exposure Sheet, you can also create keyframes and type values in the Xsheet view. You cannot create function curves directly in the Xsheet view. You must do this in either the Layer Properties editor or the Timeline view. To edit a function column in the Xsheet view, you must first display the Functions section of the Xsheet view and then select the layer you want to modify. 1. In the Xsheet view, click on the Expand Function Section button. 2. 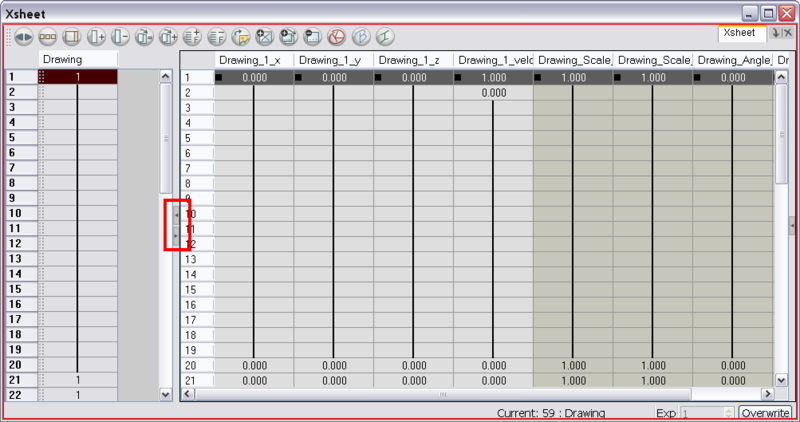 In the Timeline view, select the layer containing the parameters to modify. The columns appear in the Xsheet view. 1. 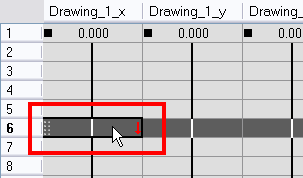 In the Xsheet view, go to the function column where you want to add a keyframe. 2. Double-click on the cell where you want to add a keyframe and type a numeric value. 3. Click on [Enter/Return] to continue to the next cell. 4. Click on [Esc] to exit the typing mode. 2. Select the cell to convert. 3. Right-click on the cell and select Set Selection As Keyframe or press [F6]. ‣ If you want to remove a keyframe, select the keyframe,right-click on the cell and select Clear Keyframe in Selection or press [F7]. If you double-click on a function column's header, you will display the corresponding function curve in the Function editor.